You can go to college to get more knowledge without seeking a degree, and a few upcoming events might be just what you wanted to know. Northwestern Michigan College has lots of opportunities for non-traditional students in its extended education program. Laura Matchett, director of NMC’s Extended Educational Services, says their goal is to reach out into the community. One couple’s recap of their 18-month sailing adventure is the topic of conversation at NMC’s upcoming Life Lunch on Friday. For $10, participants are asked to bring their own lunch and talk with the coopers about the marine wildlife they encountered, vessels of all sizes and what the excursion was like. You can preregister for the life lunch online here, or call 231- 995-1700. If technology like iPads are confusing and intimidating, NMC is offering a class to help participants connect it to their phone and computer. It will also explain topics like Bluetooth. 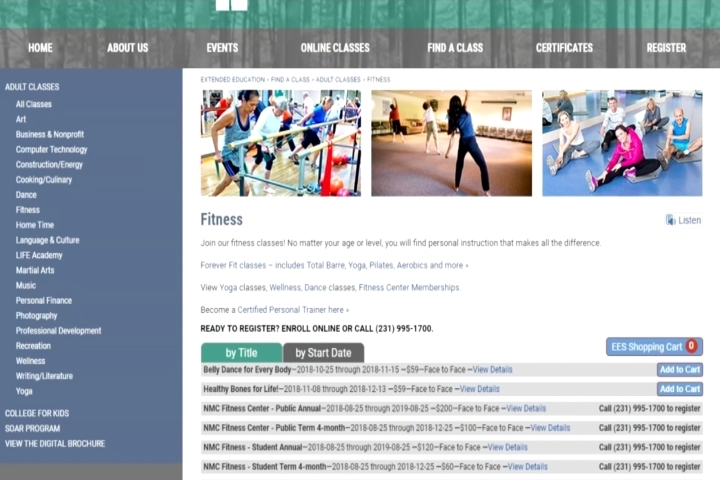 NMC offers a variety of fitness classes, including a Zumba class from Oct. 1 to 22.